The Welsh Government has announced that Wales is to become the UK’s first ‘Refill Nation’. 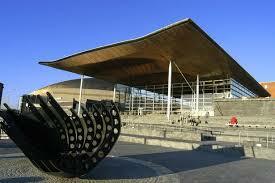 Work will get underway to improve access to drinking water in public places across Wales. The Welsh Government will work with City to Sea on developing the Refill campaign for Wales, as well as working closely with water companies in Wales and more widely with our businesses, charities and major events. The work will also include a behavioural change campaign to help people see the value of water and make tap water their first choice for hydration. The Minister will also announce an additional £15 million of capital funding to further improve Local Authority recycling collection systems and infrastructure, including for plastics. Speaking at the Senedd today, Hannah Blythyn will announce the key findings of the research on Extended Producer Responsibility which focused on reducing and recycling waste and reducing litter from six types of food and drink packaging. Consider a UK based deposit return scheme (DRS) for drinks containers, and the Minister will meet her counterparts from the UK and Scottish Governments about this next week. Any scheme must take account of risks and benefits to existing provision and recycling levels and build on the work already done in Wales. Consider amendments to the Producer Responsibility Obligations Packaging Waste Regulations so that producers and retailers pay a larger share of waste management costs. Continue to work with HM Treasury on a UK single-use plastics tax. At the same time consideration will be given to a tax, levy or charge on single-use beverage cups for Wales. The mandatory use of reusable cups and a potential pilot is also being considered. The Minister also plans to commission further feasibility studies to ensure a UK DRS delivers optimum benefits for Wales, as well as gaining a greater understanding of the types and sources of litter in Wales. The Minister also confirmed the Welsh Government has signed up to WRAP’s new ‘Plastics Pact’, a commitment by businesses to reduce the amount of plastic waste generated in the UK. The Welsh Government will be working with Welsh businesses, public sector, charities and major events to help make Wales free of unnecessary single use plastic. WRAP Cymru, funded by Welsh Government, is producing a “Plastics Recycling Route Map” for Wales, which will recommend action to increase the use of recyclate in plastic manufactured in Wales. “Wales is a world leader in recycling. We are the best in the UK, second in Europe and third in the world. I am keen to build on this success. “I’m pleased to announce a range of measures to further boost recycling and reduce waste, including £15m for Local Authorities to improve their recycling rates across Wales. I also want Wales to become the World’s first ‘Refill Nation’, making tap water easily accessible across the whole of Wales. "I am currently considering Wales’ involvement in a UK-wide deposit return scheme. Developing approaches on a UK wide basis can be less complicated for consumers and better for businesses who have told us they prefer this approach, particularly as we prepare for Brexit. I am also considering making changes to regulations so that producers and retailers pay a larger share of waste management costs. "We continue to work with HM Treasury on a UK single-use plastics tax. At the same time we will continue to consider a tax, levy or charge on single-use beverage cups for Wales. The mandatory use of reusable cups and a potential pilot is also something I am considering.